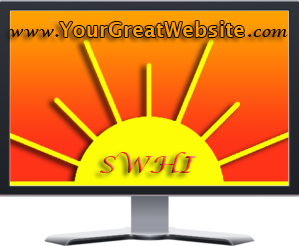 Sunshine Web Hosting’s Web Design experts can get your great concept online quickly. From custom hand coded sites, to easy-to-manage and SEO friendly WordPress structures, you will see and enjoy your online vision before you know it. With the experience of our senior network engineers and our unique position in the industry, SWHI have experts in Search Engine Optimization, E-Commerce, and Website Security. SWHI designed sites include one year of security monitoring and updates. Database connectivity and responsive design are part of what we do, not costly add-ons as they can be with other designers. The bottom line is that you get your vision online, securely and safely. No two projects are alike, so design quotes are always customized based upon the entire scope of work, but most sites do fall into the $500-$1500 range for design services. Don’t fret, though, because we do offer very flexible payment plans that can make every site design project fit into just about any budget. Please take a moment to view the sites we’re proud to have been a part of. The sites presented here are a tiny fraction of the capabilities of our talented and innovative designers.